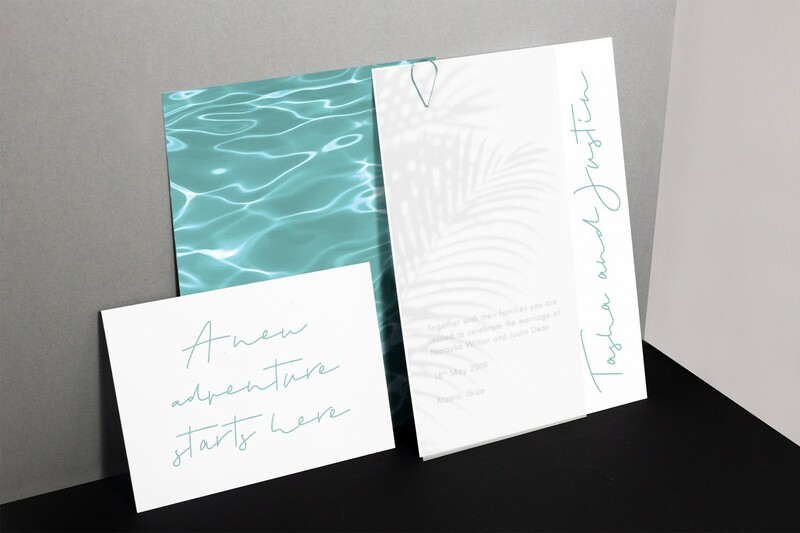 Looking to set the tone for a destination wedding in a warmer climate? 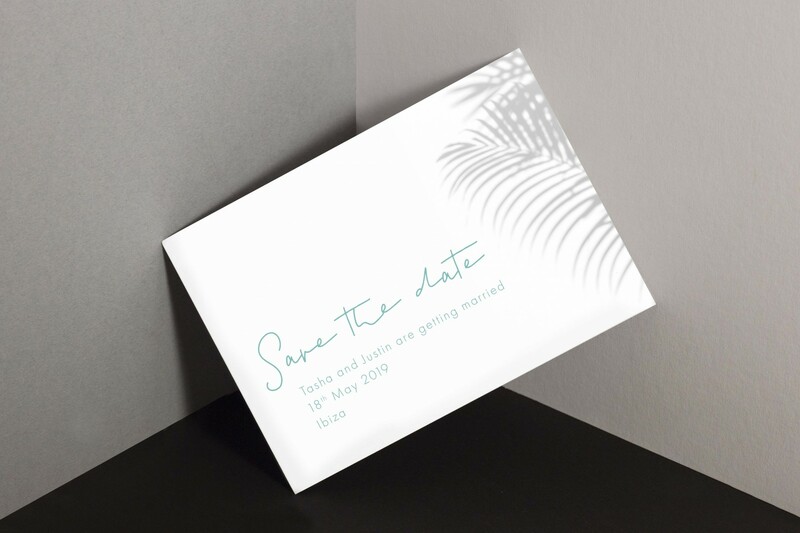 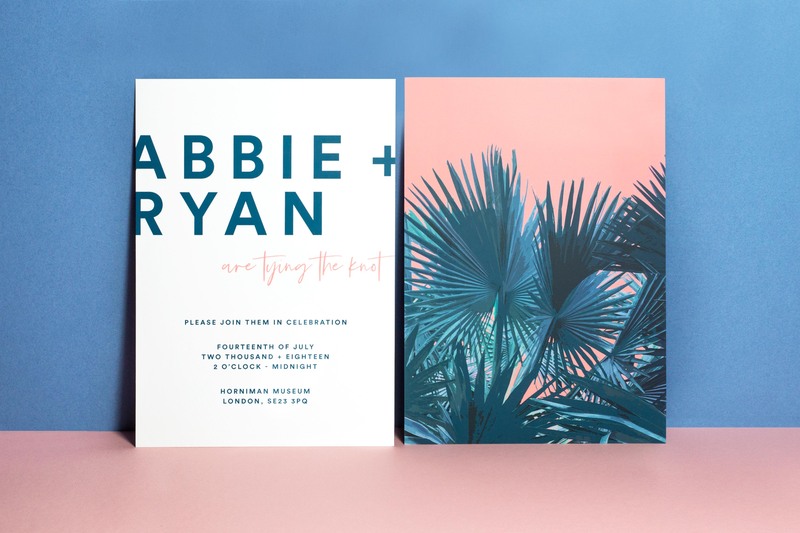 This tropical inspired, modern wedding stationery collection is perfect for adventurous couples who love to travel! 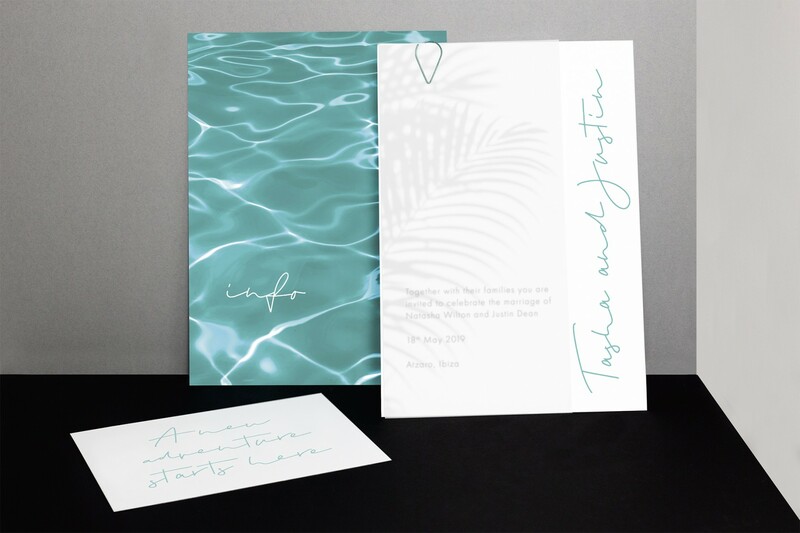 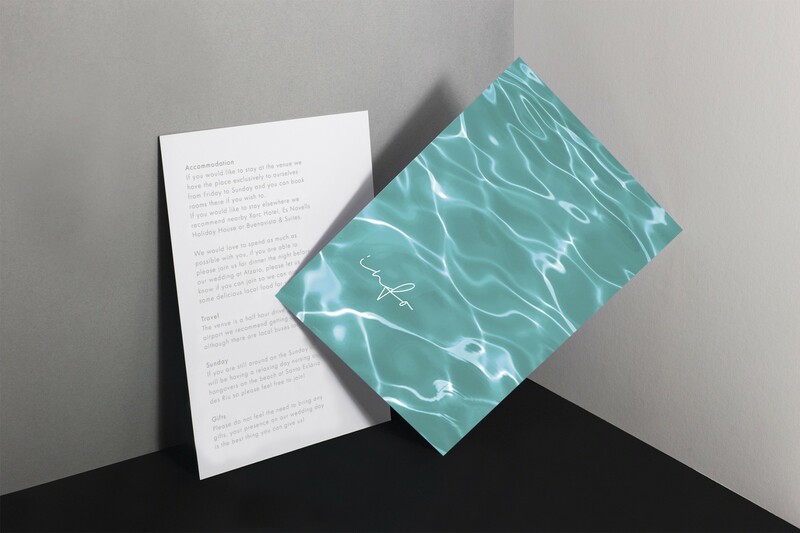 Inspired by shadows and reflections created on glorious sunny days, the teal of the water gives a pop of colour against the bright white of the rest of the design. 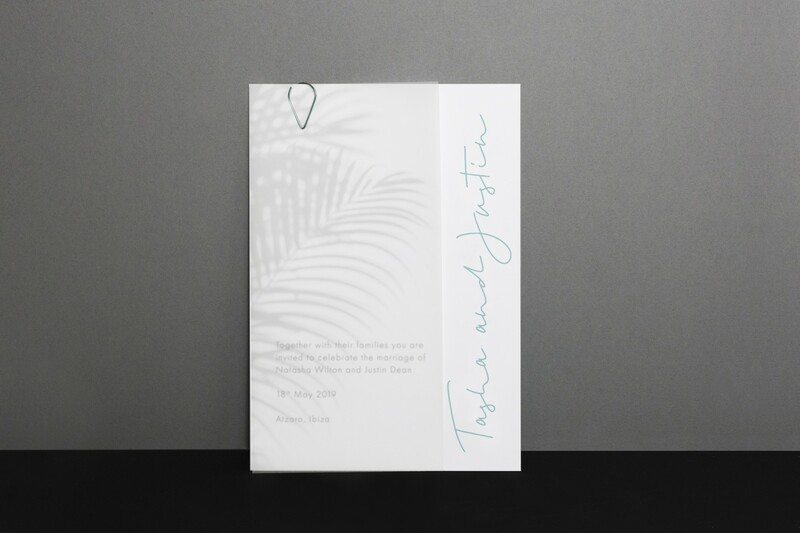 The invitation cards are secured together with a teardrop paper clip and feature a transparent, vellum overlay to really wow your guests! 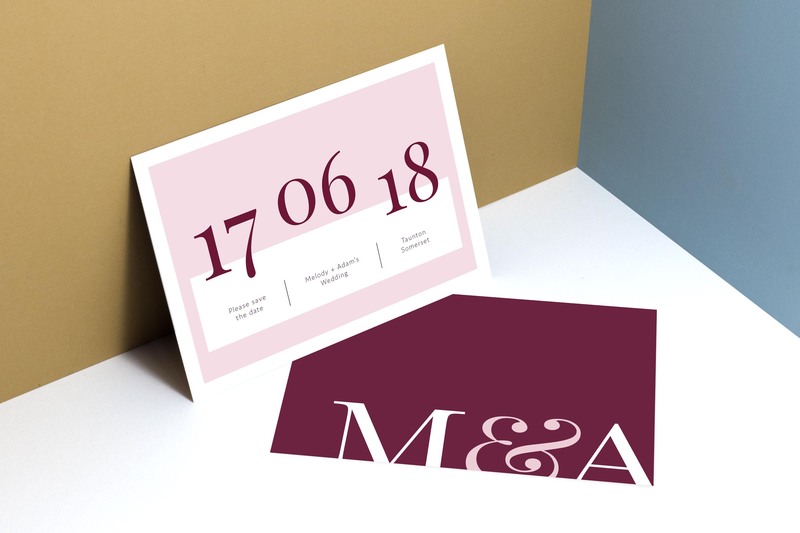 Contains an A5 main card, an A5 information card and an A6 RSVP card. 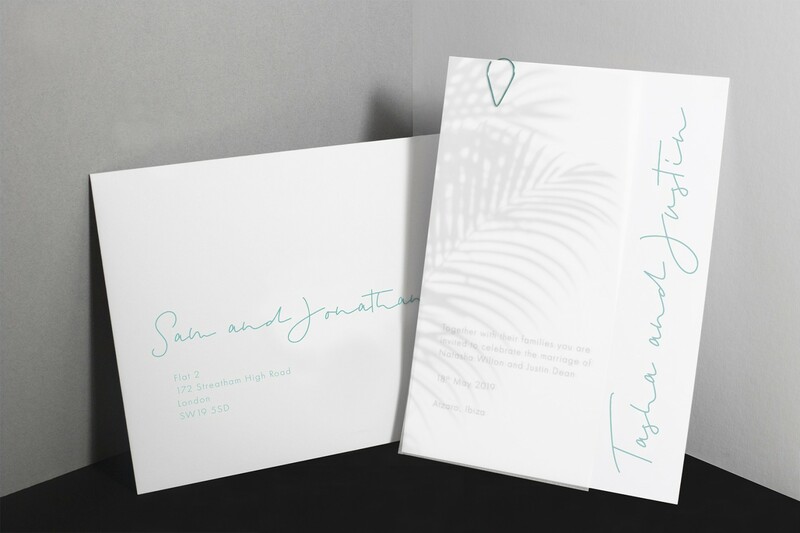 All cards are clipped together with a teal coloured teardrop paper clip. 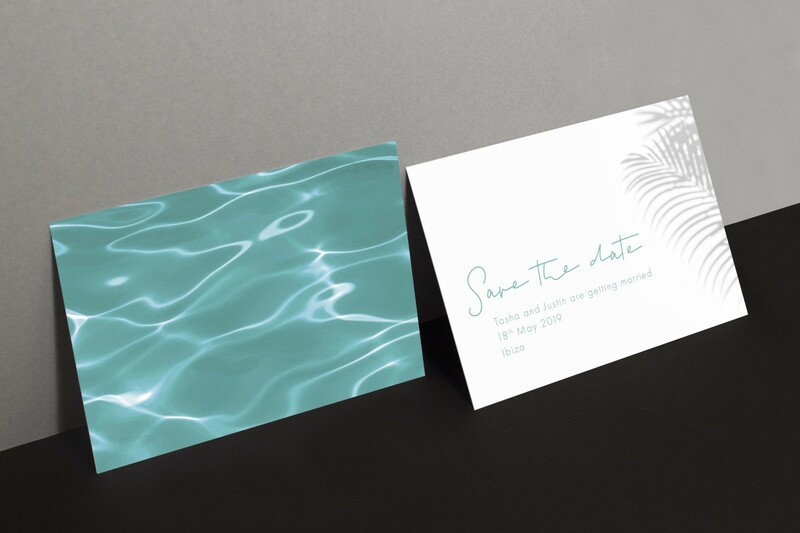 Cards are printed on uncoated 350gsm card, vellum overlay is 150gsm. 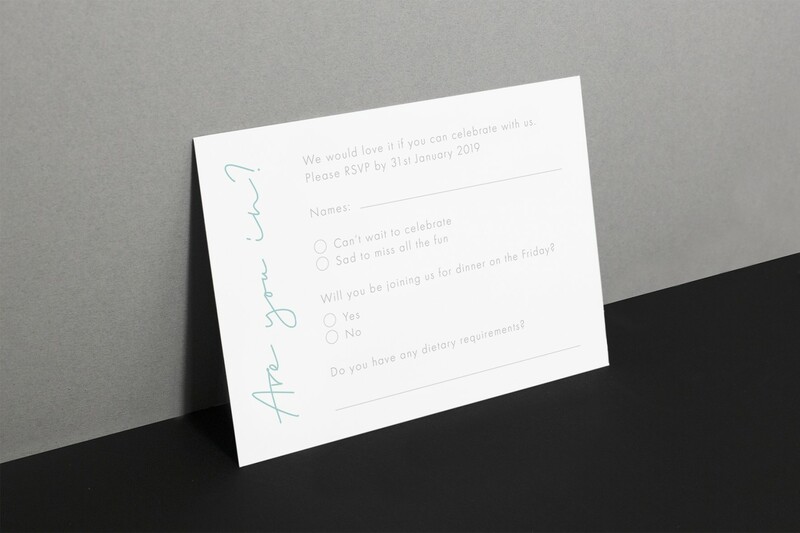 Comes in an envelope printed with your guests address.